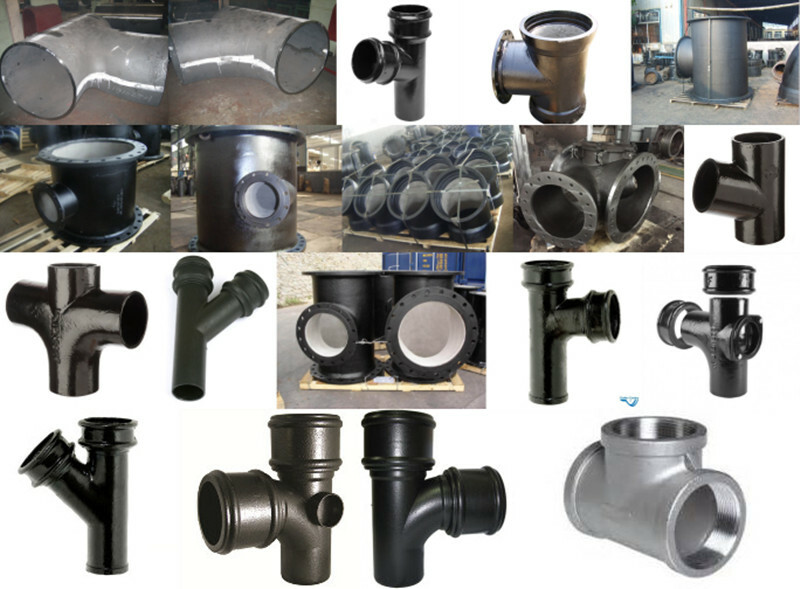 Product categories of Casting Branch Pipe, we are specialized manufacturers from China, Ductile Iron Pipe, Black Iron Pipe suppliers/factory, wholesale high-quality products of Malleable Iron Pipe R & D and manufacturing, we have the perfect after-sales service and technical support. Look forward to your cooperation! Branch Pipe, mean pipe fittings tee or tee fittings, tees and the like. It used mainly to change the direction of flow, with a branch in the main conduit to the Office. Can diameter size classification. General carbon steel, cast steel, alloy steel, stainless steel, copper, aluminum, plastic, argon Ge Lek, pvc and other materials produced. Casting Branch Pipe is a three hole, namely an inlet and two outlet; or two inlets, a kind of chemical pipe outlet, there are T-shaped and Y-shaped, with equal diameter nozzle, orifice diameter pipe also, for three identical or different line Survey Office. The main role tee is to change the direction of flow. 2. Same size - Reducing tee competent to take over, and over size is smaller than the executive branch pipe over size. Tee hydroforming is compensated by the axial expansion of the metal material of a branch pipe forming process. The process is the use of special hydraulic machine, the injection of the liquid and the inner diameter equal to the three-way tube, side cylinder synchronous movement of the extruded tube by two horizontal hydraulic presses, tube after extrusion by the smaller size, the inner tube the volume of liquid with the smaller tube and pressure rise, when it reaches the three-way manifold pressure required for the expansion, the metal material in the dual role of the cylinder and the inner tube side fluid pressure and flow along the mold cavity bulge manifold. Tee hydroforming process can be a shape, high production efficiency; competent and shoulder tee wall thickness were increased. Due to the larger seamless tee hydroforming process equipment required tonnage currently mainly for the manufacture of standard wall thickness less than DN400 tee. Its application for the molding material is relatively low work hardening tendency of low-carbon steel, low alloy steel, stainless steel, including some non-ferrous materials, such as copper, aluminum, and titanium. Stretching branch site to open a hole; tube by heating, into the forming die, and a tensile load manifold die within a tube; tube is radially compressed under pressure, radial compression during the metal flow direction and forming the manifold branch pipe in a stretched punch. The whole process is by radial compression and stretching process tube manifold portion is shaped. Tee hydraulic bulging difference is that hot tee branch pipe metal tube is carried out by radial motion compensation, it is also known as radial compensation process. Because after pressing tee by heating the material forming the equipment needed to reduce the tonnage. Hot links to wider adaptability of materials suitable for low-carbon steel, alloy steel, stainless steel material; especially large diameter and wall thickness bias tee, often use this forming process. Carbon steel, cast steel, alloy steel, stainless steel, copper, aluminum, plastic, argon Ge Lek, pvc and so on. Top system, pressing, forging, casting and so on.